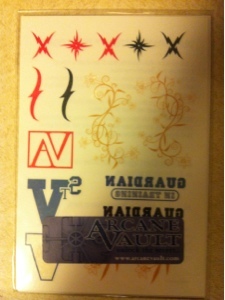 This week's Saturday Giveaway is for a pack of Vampire Academy/Bloodlines temporary tattoos given to me by the amazingly awesome and lovely Richelle Mead herself. 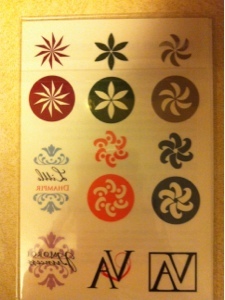 The giveaway also includes a grab bag of author bookmarks and swag (some signed, some not signed). It'll be a pretty AMAZING collection if I do say so myself. Richelle Mead is one of my favorite authors. I love her work and I believe Vampire Academy series is the best YA series which based on vampires, thank you for the giveaway! richelle is my top two fav authors! my favourite is Storm Born from Dark Swan Series! !